The US dollar's pre-weekend losses were extended initially in Asia before it recovered sufficiently to give European participant a better selling level. 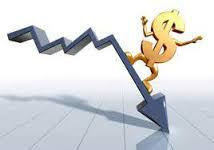 The dollar selling into the shallow bounce reflects the bearish sentiment, which as we see it, was simply fanned by both Yellen and Draghi did not alter the status quo in their Jackson Hole speeches. BOJ Governor Kuroda spoke at Jackson Hole following the release of Japan's July CPOI figures before the weekend. He did talk about policy. He suggests that although the BOJ's IGB buying was having some impact on liquidity, the market was still functioning fine. Kuroda also underscored the need to continued efforts, meaning the talk of central bank exits did not include the central bank for the world's third largest economy. The North American session features US wholesale and retail inventories, and good trade balance. They are components of Q3 GDP. Midweek the US will revise Q2 GDP. It is expected to be tweaked higher to 2.7% from 2.6%. The Bloomberg survey picked up a median guesstimate that US growth in Q3 matched Q2 growth, but the GDP trackers at the Atlanta and NY Fed's don't see it that way. The Atlanta Fed sees the economy tracking 3.4% growth presently, while the NY Fed see 1.9%. Note that the US is selling $132 bln of debt today, including four-week T-bills that may come due before the debt ceiling is raised. Equities are mixed. The MSCI Asia Pacific Index eked out a small gain. Of note, Hong Kong's Hang Seng rose to new two year highs. However, the market lost momentum and closed below the open, suggesting a heavier technical tone than the bullish impulse of a new high. That said, it is up 36.6% year-to-date. In Europe, the Dow Jones Stoxx 600 gapped lower and has not been able to enter the gap in the first half the day. The gap is found between the pre-weekend low (~374) and today's open and high (~373.2). So far, it has held above the low from earlier this month (~371.5), which was also the lowest since March. We are concerned that a sharp fall in European equities may see the euro-positive inflows unwind and could act as one of the headwinds to the euro's advance.